* Angelo Marcopolo/Strasbourg/- Global Economic issues and New "Green" Technologies are due to be at the focus of Shanghai's Heads of State/Government Summit after the inauguration of the biggest in History International Exhibition on May 1st, where is expected French President Sarkozy before he takes over the G 8/20+ Chairmanship, and more than 100 other Leaders from all over the World, (including EU rotating Chair-in-office, Spain's Prince of Asturias, Heads of International Organisations, etc), said to "EuroFora" China's Consul General for the CoE and Strasbourg, Sun Jiwen, pointing also to the fact that "there will be, in parallel, many Bilateral Heads of State meetings on the sidelines" of the Mega-event. From Copenhagen to ...Shanghai via Strasbourg ? "EuroFora" observed that, "during UNO's Copenhagen Summit of Heads of State/Government on Climate, China made an interesting and largely commentated entry, and recently, Copenhagen's deputy Mayor in charge of Environment and Jobs, Klaus Bondam, said to "EuroFora" at the CoE in Strasbourg, that Shangai's challenge was to find ways to associate Chinese Terrritorial Authorities (Cities, Regions, etc) together with Europe and other Countries willing to develop New "Green" Technologies and Climate-Friendly policies'. 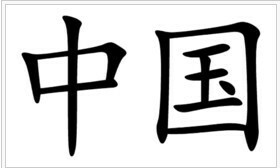 Thus, we asked Jiwen what "perspectives" exist in this direction, as well as in order to "find a special Formula to associate" somehow China with the PanEuropean CoE, as it has already been done since Russia's accession f.ex. for the USA, Canada, Japan, Mexico, Israel, etc,, (so that now China is the only UN Security Council Permanent Member which has not yet been linked to the CoE) : "In the past, CoE had used progressively its Cultural policies, afterwards was considered Sport, but now, perhaps, it might be Environment and Local/Regional Democracy, CoE's North/South Centre and Sustainable Development issues, or something else, in order to bring China closer to Strasbourg's Organization for Human Rights, Democracy and Rule of Law, (which traditionally serves also to pave the way for EU's Economic and emerging Political partnerships). - The experienced Senior Chinese Diplomat replied to "EuroFora" that, "indeed, Copenhagen Summit's Climat and Environent Protection issues attract, more and more, attention in China, both of the Government and of the People", Enterprises or Local/Regional entities. "Because a Sustainable Development can be made only by the Progress achieved by using New Technologies which protect the Environment", as he acknowledged. -- Recently, "the Chinese Government launched an Economic Program with 40.000 Billions € for "Green Growth", including, f.ex. Construction, Energy, Natural Resources, Environment protection, and other related sectors of economy". So that, according to International Standards (f.ex. of the World Bank, OECD, etc), S.Korea has the 1st and China the 2nd rang in the World on Green Growth investment, he added. This trend opens "very good perspectives of Cooperation" with key EU Countries "as f.ex. France, because of the very Advanced Technologies on Environment Protection that you have here", the Chinese Senior Diplomat stressed, observing also the fact thet in EU Countries "as in France, Citizens are generally aware and well informed about Earth Environment issues" by the Media, Public Authorities, NGOs, etc. Hopefully, such infoirmation campains are developing now also in China, conceerning f.ex. Energy Savings, respect of Nature, etc, enlarging the scope of "Cooperation which becomes both possible and necessary, particularly on New Technologies". - "Concerning China and the CoE, there arer regular exchanges and cooperation, developing rather fast, f.ex. in Youth or Sport policies, as well as with many Visits and Training, both here, in Strasbourg, and in China, as he said, F.ex. 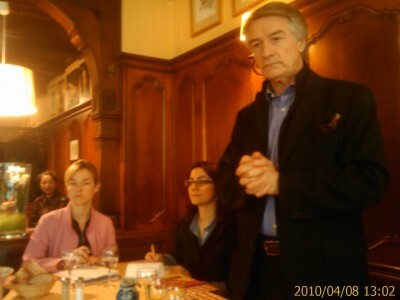 last November 2009 we received a delegation of CoE Youth policy officials to discuss a Program which will extend for Many Years. Moreover, particularly since March 2010, we are in the process of developing a much larger cooperation with CoE's Congress of Local and Regional Authorities (CLRAE), where Chinese Cities are due to meet annualy with European Cities in Strasbourg, he anounced, as some among several possible concrete examples of the fact that China's cooperation with the CoE.seems to have "a promising Future". Exceptionally, France's most performant Region in Environment-Friendly Sustainable Development, Alsace, will have ithe chance to open its own Pavillon, a superb "Solar Wall"-equiped "Green" High-Tech Building, which is one of the rare that will permanently stay in China, (instead of being deconstructed afterwards as others), who pays the construction designed by a team of specialized French Architects. 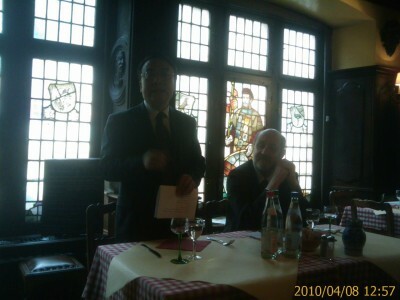 Alsace's pavillon will also be side to side with .. Shanghai's own pavillon, the President of "Alsace International", and Alsace Region's 1st vice-Chair André Reichardt observed, thanks also to a pre-existing partnership with a nearby Chinese Region. Destinated to help Enterprises pressent their ideas, partenship projects, etc, Alsace's original Pavillon at Shangai still has a few free places for some short or longer periods during the 6 Month-long event, whose organisation is funded by all the Local and Regional Authorities of Strasbourg'(s area, Reichardt anounced. 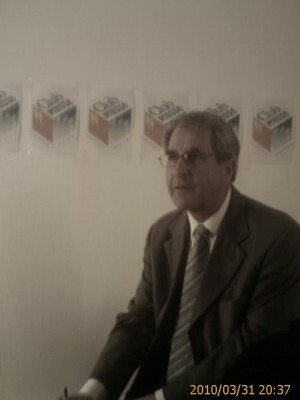 The May 2010 move, already prepared by the recently deceased former Alsace Region's President Zeller, timely comes with newly elected Alsace President Senator Philippe Richert's declared aim to boost a new "Eco-Technology" Competitivity Pole in the area, working together with the neighboring German and Swiss Authorities at the Upper Rhine Euro-Region, which "are very willing to advance in this direction", as confirmed to "EuroFora" the experienced Alsace Region's reelected Official, until now in charge of Scientific and Technological Reseach issues, Mrs Roehrfritz. Initially focused mainly on Energy Saving New Technologies used for performant Buildings, Richert's idea to develop around Strasbourg a New "Eco-Technology" Pole, in addition and in cooperation with its traditional BioPole, could eventually be extended, sooner or later, also to other, even Higher Scientifico-Technological and productive assets of the Franco-Germano-Swiss area strategically located at EU's heart, which includes, f.ex. Strasbourg University's World famous Seismic Center, part of the "Earth Institute", SERTIT's urgent Space - Imaging centre, Alsace's Atmospheric Pollution control body (ASPA), the International Space University, Solar Energy Research on new Materials' Research on New Materials for Solar Energy (including, f.ex. promising Topological Bio-Materials for more efficient Solar Panels at Chadron Institute, etc), close to Stuttgart's SME which won EU's GALILEO Satellites' fabrication bid at the beginning of 2010, ESA's Space Control Centre at nearby Darmstadt, linked also to the European Austronaut Center at Koeln, another Rhine city, some important German and/or Swiss Weather Science and Atmospheric Dynamics' Technology centres, (from Baden Wurtemberg up to Bavaria), etc, while EU is currently developing its GMES program on Space "Global Monitoring for Environment and Security", as the competent EU Commission's vice-President, Antonio Tajani from Italy, recently stressed at EU Parliament in reply to an "EuroFora" question (See relevant "EuroFora" Publication of January 2010), which, taken all together, could form what the Strasbourrg-based European Foundation of Sciences' latest Program calls "Earth Science" pole, with an important overall Scientific, Technological and Economic strength. - "Yes, of course. That's exactly what I think : There are many such valuable assets with a Richness of potential that we must seriously examine and try to find a way to develop, "advancing the (Franco-Germano-Swiss) TransBorder Cooperation further" on a possibly larger and stronger Eco-Technology pole, Alsace Region's new President recently replied to "EuroFora" on this issue. (See specific "EuroFora" NewsReport, earlier sent to Subscribers/Donors). Richert topically said that to "EuroFora" just before his recent meeting with French President Sarkozy at the Elysee Palace in Paris, where he earlier anounced, together with German Chancelor Merkel, a clear Franco-German will to create a Starsbourg - Stuttgart "Eco-Mobility" new Technology show-case in parallel with joint Franco-German Education and Research Poles of Excellence, of European and International interest. (See "EuroFora"s NewsReport from the Sarkozy-Merkel Summit, February 2010). Sarkozy is meeting tomorrow, Friday, with USA's NASA related California Instituite of Technology's Director, French-origin Professor Jean-Lou Chameau, a specialist of Geo-Engineering, married with Dr. Carol Carmichael who is directing Georgia Tech's Sustainable Development and Renewable Technologies centre. The move comes the same Day of a Franco - Italian Summit with the Government of Silvio Berliusconi, (including the experienced former EU Commisioner Fratini, currently Italy's Foreign Minister), uniting at Elysee Palace in Paris the two bigger Mediterranean EU Countries, a day after ESA succesfully launched its Climate-related Cryosat 2 Satelite on Polar Ice melting, and before an important ESA gathering on Earth Observation next week in Italy, whose EU Commision's vice-President Tajani is in charge of EU Space Industry policy, introduced by Lisbon Treaty since December 2009 : See Tajani's statements to "EuroFora", Jan. 2010). And just before Sarkozy's close counselor Henri Guaino, discussses, at Paris Forum's Conference on Saturday, the latest developments 2 Years after the creation of the "'Union for the Mediterranean" by a Heads of State/Government Summit in Paris on July 2007, while recent Press Reports revealed a France-led "TransGreen" plan to link Europe to Africa with sub-Mediterranean Electricity transport cables, as a complement to the Germany-led plan "Desertec" for the production of Solar Energy throughout Sahara..
- "I had heard about EU's project GALILEO some years ago, when I was posted in Brussels, but afterwards, I'm not sure if it was stopped, or if it really goes on, because, as time went by, people were speaking less and less about it", honestly replied Jiwen. "Meanwhile, during recent years, China's Space programs have developed very fast, launching many Rockets and Orbital Flights, including Human Space Flights with Austronauts, etc, so that China will probably have now its own Geo-Positioning system, and EU another one", as he said, (while Russsia's own system GLONASS is preparing to "become Global after June 2010", as ISU's Russian professor recently confirmed to "EuroFora"). - "But, even if China advances on its own Geo-Positioning program, there still exist Possibilities for Cooperation" with Europe "in this domain" of GALILEO's Satellite Navigation System, the Senior Chinese Diplomat concluded in reply to "EuroFora"'s question. The Chinese Senior Official's spontaneous reaction on the GALILEO's past delayes, (See supra) clearly shoiws that EU needs to clearly and rapidly confirm a strong ambition to develop Space High Tech., often linked also with Environment-related issues, (Comp. supra), and make it known to the World. EU Parliament's recent Resolution for the development of a "Strategicaly Autonomous" European Security and Defence policy, drafted by mainstream French MEP, Chairman of EU Parliament's Security and Defence Committee, Arnould Danjean, (See Danjean's statements to "EuroFora" on March 2010 NewsReports, some published and other sent to Subscribers/Donors), rightfully has launched strong calls to boost several Space Technology tools able to protect EU's Citizens and economy from various challenges. The next Union for the Mediterranean Summit is scheduled for June n Barcelona, Spain, which holds the EU rotating Chairmanship, and is expected to present an initial overview of its objectives with Foreign Minister Angel Moratinos' intervention at the Paris' Forum, in the Brongniard Palace, Friday and Saturday, together with various other politicians and experts from EU and South Mediterranean Countries, as well as from the USA, since American President Obama's recently expressed intention to cooperate with Europe in the Mediterranean are at the focus of this 2010 Paris' Conference. But, China, another notoriously fast-emerging actor on "Green" Technologies, is not far away : Currently representing just 7% of imports concerning Africa, where other Countries like France, or even the US, traditionally represent more than 30%, as he said, China is progressively developing its investments in African Countries, with more or less Economic success, contributing to build Railroads or to use Energy, etc., obseerved today (Thursday) its experienced Consul General in Strasbourg and at the CoE, Su Jiwen. 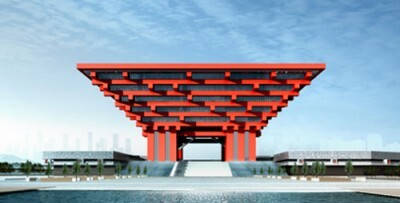 Symbolically, Shangai's 2010 International Exhibition will host a huge Pavillon offered to all developing African Countries, he observed, while Africa is also due to be guest of Honour to the prestigious 14 of July National Day Parade at Champs Elysees in Paris, as French President Sarkozy recently anounced. All this obviously brings to the limelight the Euro - African relations at the moment that EU searches to shape both its Energy policy for the foreseeable future, and to contribute to boost Sustainable Development and Climate-friendly New Technologies and norms. Immediately after UNO's Climate Experts' forthcoming meetings in Bonn, early June 2010, EU Head of State/Government Brussels' Summit at the end of June, is expected to have also an important part on Development Policies, probably linked with Climate issues and Technology transferts, before September 2010 New York Global gatherings to review and boost Millenium Goals' advance, revealed earlier in Strasbourg to "EuroFora" the competent EU Commissioner on Development, Anders Pielbags.